Former U.S.N. Chaplain, the Very Rev. Fr. 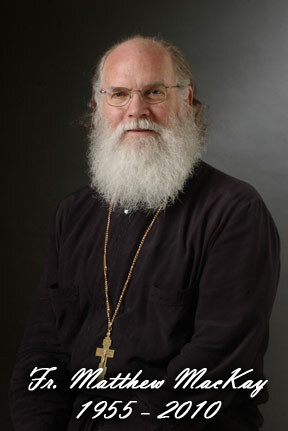 Matthew B. MacKay fell asleep in the Lord on July 26, 2010, in Houston, TX. Fr. Mathew served as a Chaplain at/on: Naval Military Chaplain, Norfolk, VA. USS John F. Kennedy, 1992-1993; Iwakuni, Japan. USMC Air Base Chapel, 1989-1992. Fr. 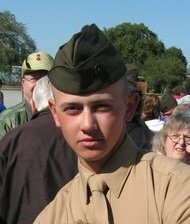 Mathew was also a Graduate of the Citadel (The Military College of South Carolina). SGOMA will post more information as it becomes available. Posted by stgeorgeoma in Armed Forces, Armed Services, Eastern Orthodox, Memorial, Military, News, Orthodox, Religion, Religious, SGOMA News, Uncategorized. 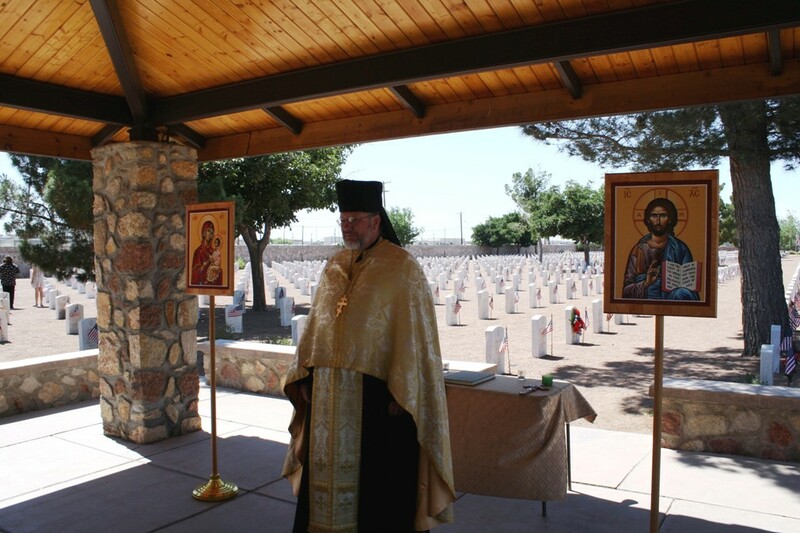 The Saint George Orthodox Military Association’s Borderland Chapter (El Paso/Las Cruces held their First Annual Memorial Day Prayer Service at Ft. Bliss National Cemetery in El Paso, Texas, on Monday May 31st, 2010 (Memorial Day) at 10:00hrs, at the Cemetery’s East Pavilion. 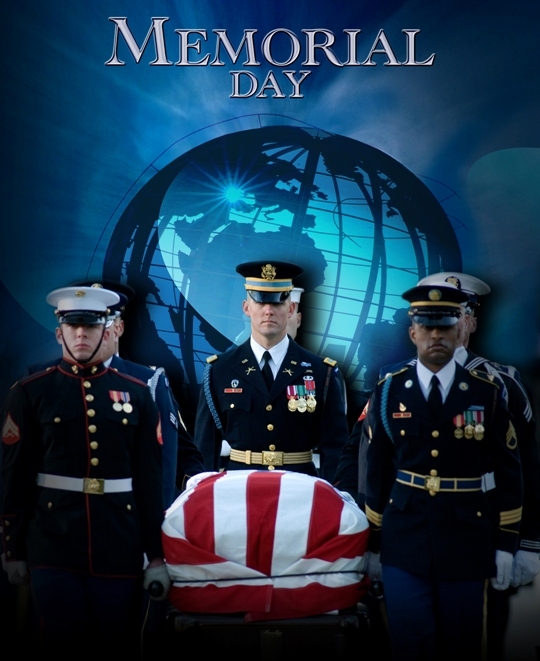 We would like to thank all those who came out the Ft. Bliss National Cemetery on such a warm May morning. 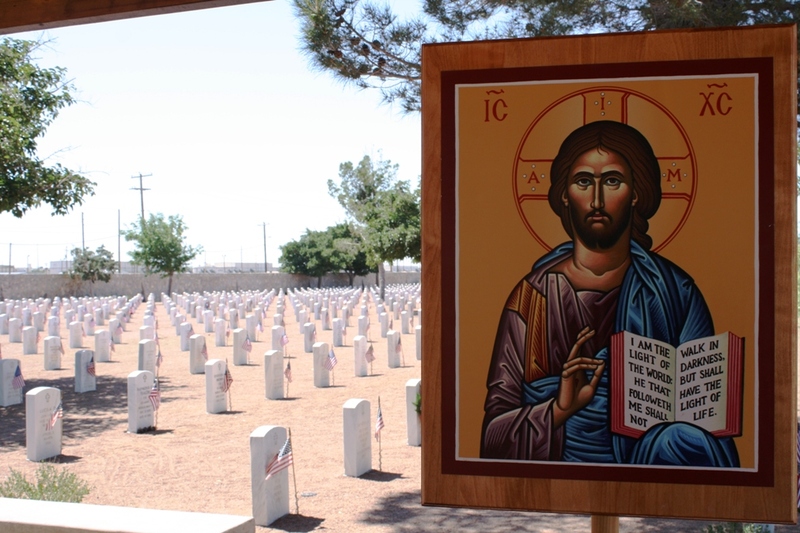 We know some may have attempted to make it out to the Ft. Bliss Cemetery today, only to get lost, turned around, or were unable to find their way through the tremendous road construction. Unfortunately neither the Cemetery nor the State Highway Department had any signage out to route people through the constructions area and to the Cemetery. 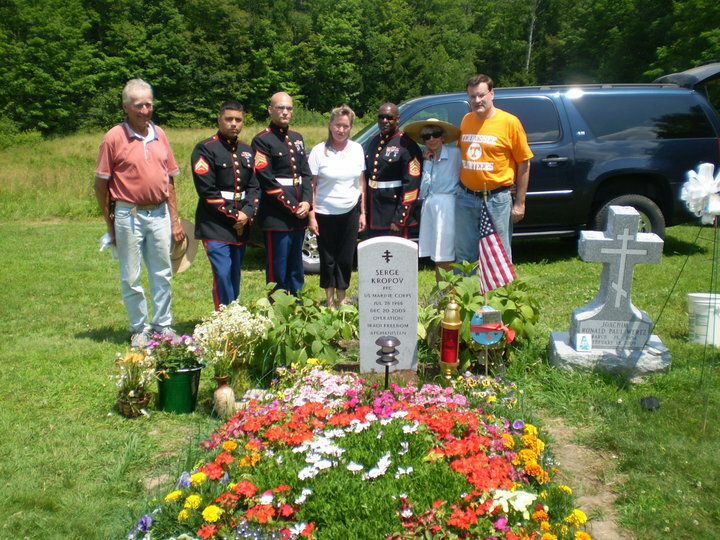 We are hoping that by next Memorial Day all the road construction will be done and signage will be up directing people to the cemetery. 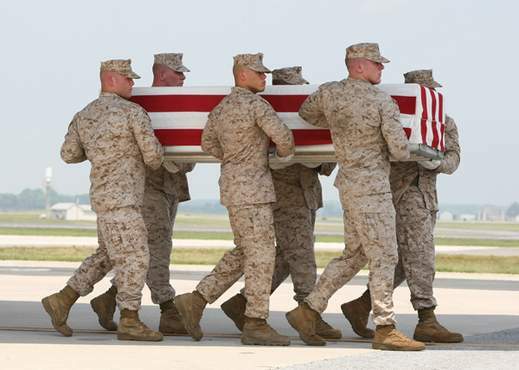 Again, if you attempted to attend but couldn’t figure out how to get there we apologize for the inconvenience and we thank you for taking the time to honor our fallen Troops. 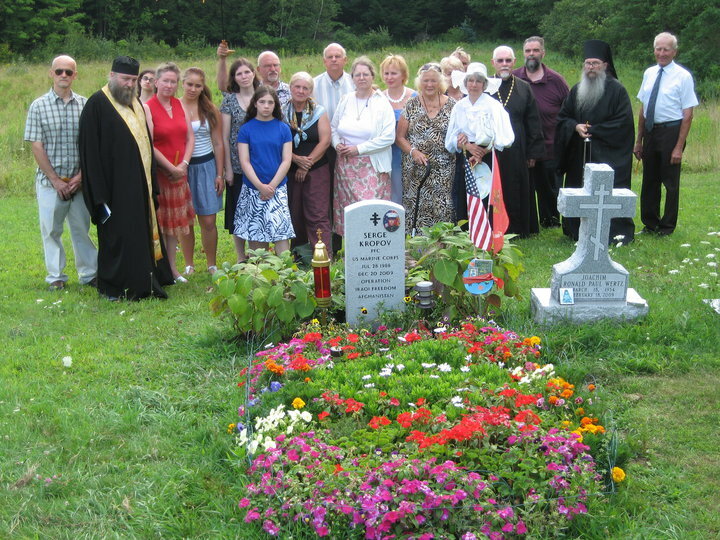 A small group of Orthodox were able to make it through the construction and a very nice and solemn Memorial Service was held. We hope to see everyone out there next year!